Bitcoin gamblers begin to feel the festive mood as holiday bonuses and promotions consistently pop up in various Bitcoin casinos and gambling websites. Compared to other seasonal promotions, the Bitcoin dice site’s promo giveaways skip the common setup of upgrading the welcome and reload bonuses. Instead, players are treated to a more engaging and fun-filled experience while acquiring the various exclusive offers. 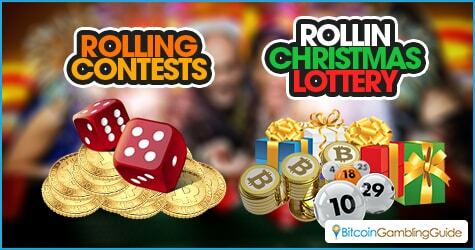 Rollin.io features a Christmas lottery this month that gives out a total prize worth 1,000 mBTC. The draw will take place on Jan. 1 next year, and the prizes will be divided among 17 lucky participants, with 200 mBTC is the grand prize. Players with level 3 accounts and above are the only ones eligible to join the lottery, though. Fortunately, dice bettors still have the chance to pump their account’s status by playing more rounds on Rollin.io since the level to be considered is the one reached on Dec. 31. This provably fair Bitcoin dice site also offers casual gamblers the chance to win Bitcoin through its other contests like the Rollin Trivia and Games, as well as the Meme contest—a first in the Bitcoin gambling industry. For the Rollin Trivia and Games contest, members must keep an eye on the chat box and wait for the chatter bot to throw in some questions about anything under the sun. If answered correctly, they will win a fair share of the hundreds of mBTCs to be given away. The Meme Contest, on the other hand, challenges the creativity of the bettors. 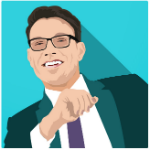 Players must create a witty meme for Bitcoin dice Rollin.io to earn the chance to win up to 100 mBTC. Participants of both contests can keep themselves updated through the event’s official thread posted on BitcoinTalk. Another factor that makes the Rollin 2016 New Year contests standout is the exciting ways to win and enjoy every bet. Unlike other bonuses that are given right away, players must compete their way through a series of stages in order to grab higher amounts of rewards. The first stage of the Rolling Contest is called Roll the Numbers Contest. Here, the first five gamblers to roll more than 10 or 50 times will each receive the 30 mBTC prize. The Super Streak Contest, on another hand, awaits those who had made it through the first stage. This time, the first four competitors to have a winning or losing streak of 10 on the 45 to 50-percent winning chance range will find 50 mBTC delivered to their account, provided they wagered at least 1 mBTC. Hit the Profit Contest is the third stage to be unlocked. Unlike the previous stages, this game has two winning categories. The first category rewards 100 mBTC to the first three players to make a profit of 5 BTC or more in a single roll. The second one offers 100 mBTC to the player that gets an exact profit or loss worth 1337 mBTC from a single roll. Finally, successful players that have made it through the previous stages would be competing in the Multiplier Contest. In order to win this round, players must wager at least 3 mBTC and win at the highest dice multiplier, which is either greater than 98 or less than 1. This final phase rewards a 100 mBTC prize. 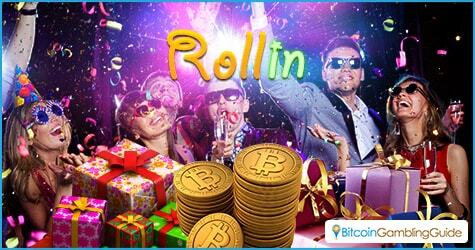 This setup encourages Rollin.io members to engage in a friendly competition, making the event a more worthwhile experience while playing Bitcoin dice online.